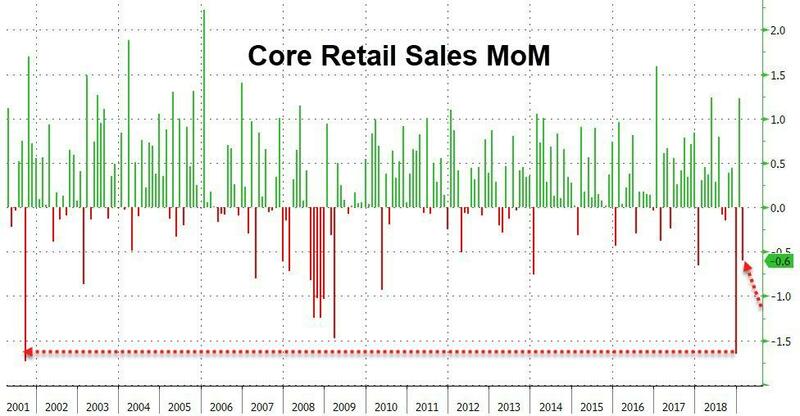 After January's much-heralded rebounded from December's "well it can't be real" plunge, retail sales were expected to continue the rebound in February (albeit at a slower pace) but they did not - disappointing gravely. 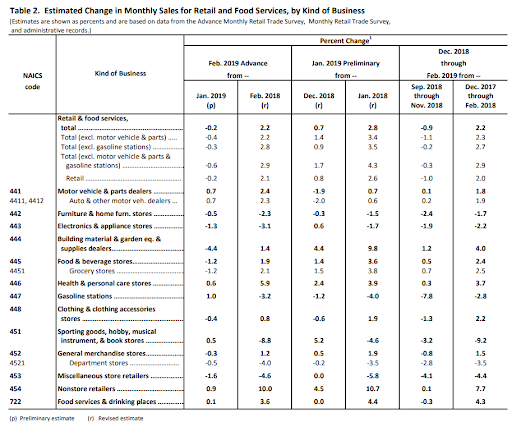 Sales in the “control group” subset, which some analysts view as a cleaner gauge of underlying consumer demand, also fell 0.2%, missing estimates for a gain, after an upwardly revised 1.7% increase in the prior month. The measure excludes food services, car dealers, building-materials stores and gasoline stations. 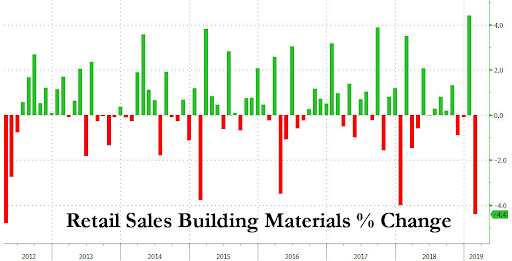 Led by Building Materials & Garden Equipment plunging 4.4% - the biggest drop since 2012... (additionally, receipts at electronics and appliance stores fell 1.3 percent, the most since May 2017). 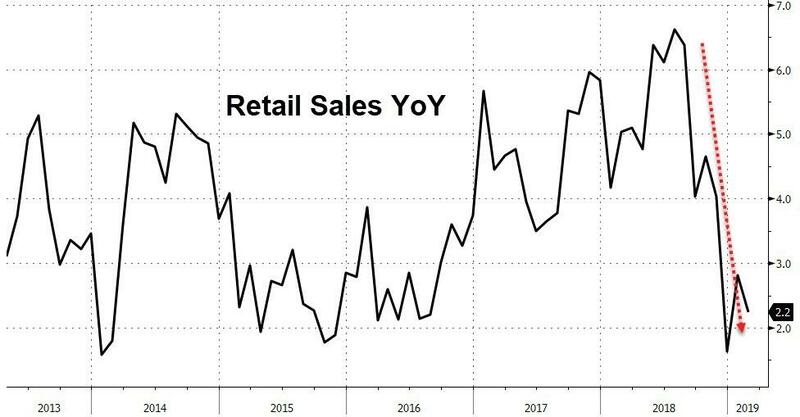 As Bloomberg notes, the report suggests consumer spending will be limited as a growth driver in the first quarter, with pressure points also including smaller-than-expected tax refunds and global economic weakness that may be weighing on jobs. At the same time, rising wages, a stock-market rally and steady interest rates are likely to be pillars for consumption in coming months. But, but, but... White House chief economic adviser Larry Kudlow said Friday that the “underlying economy” isn’t slowing.